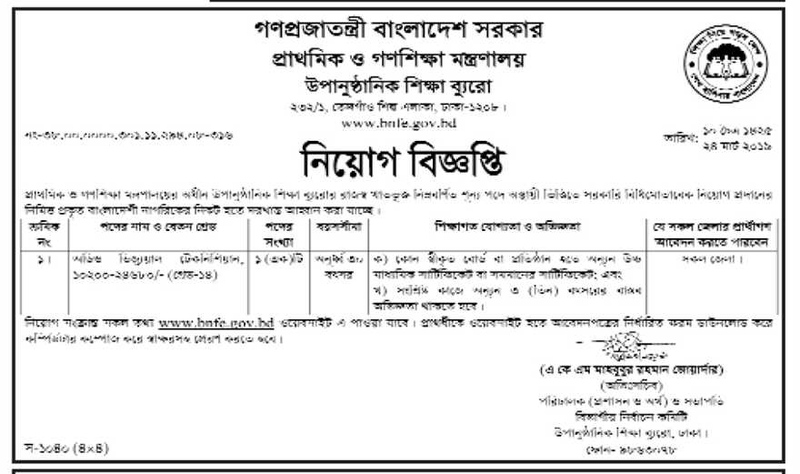 Ministry of Primary and Mass Education Job Circular 2019. The job circular created a great opportunity for the job seekers. You will find all the job information like job circular, results, notices, seat plans etc in our website BD job market.